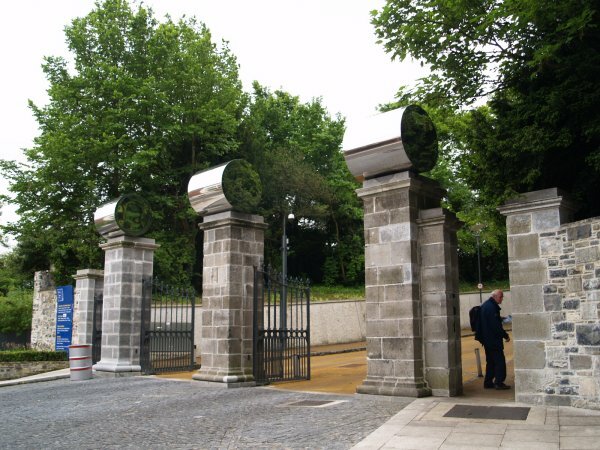 The south-east entrance to IMMA with its great steel cylinders on the stone gateposts. 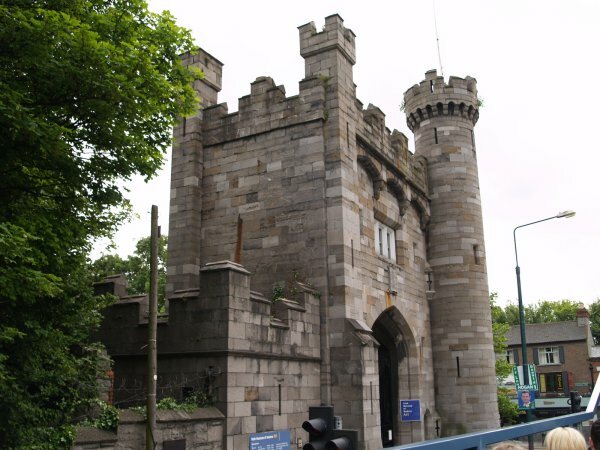 The castellated 'gothic' north entrance to IMMA and below the road from it leading up to the main buildings. 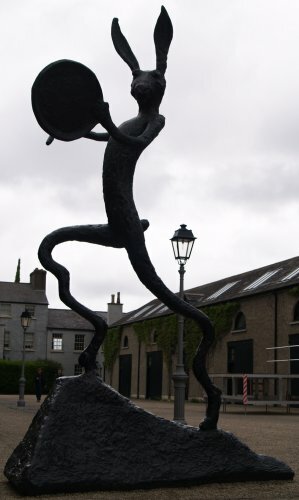 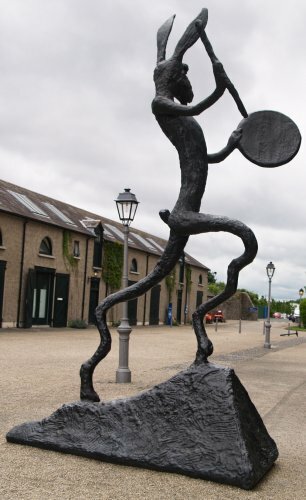 The wonderful 'The Drummer' hare sculpture by Barry Flanagan. 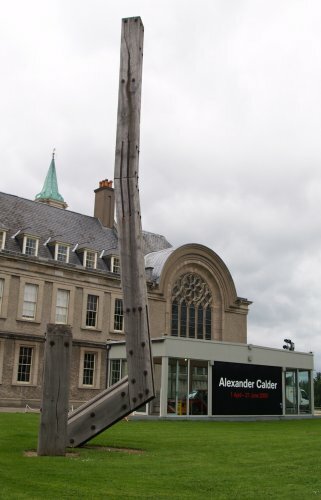 The main entrance? 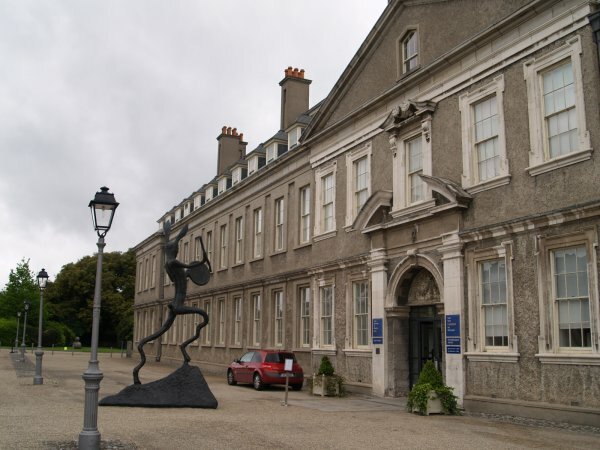 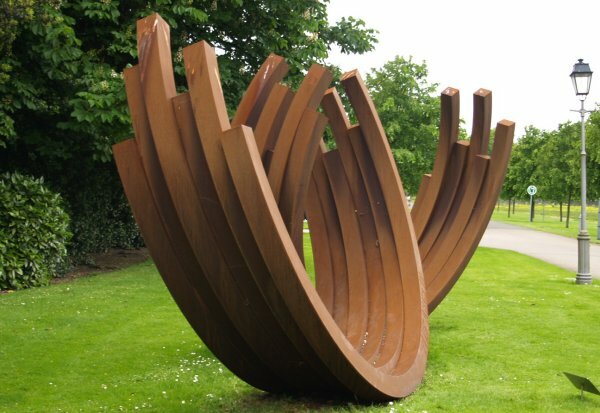 to the Irish Museum of Modern Art (IMMA) which is housed in the beautiful and splendid Royal Hospital Kilmainham. 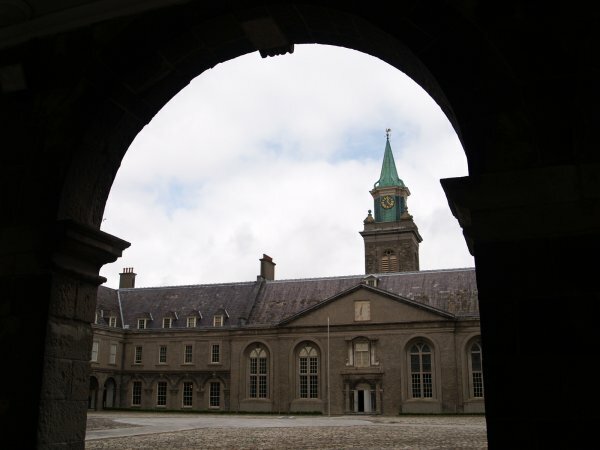 View of the clock tower through one of the courtyard arches. 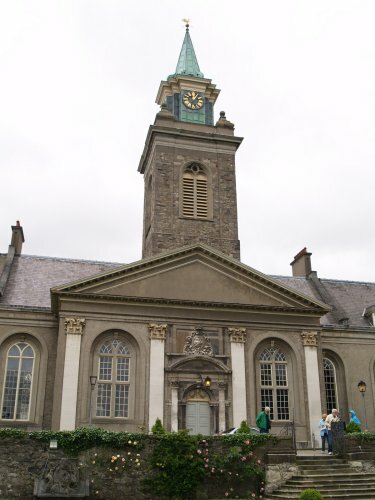 This handsome 17th century building was laid out in 1680 under the direction of Sir William Robinson and styled on Les Invalides in Paris. 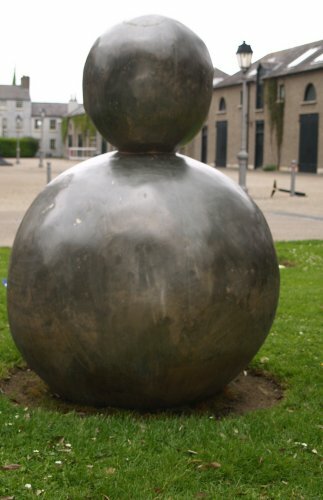 Barry Hume - 'Back of Snowman', 2003, bronze and crayon. 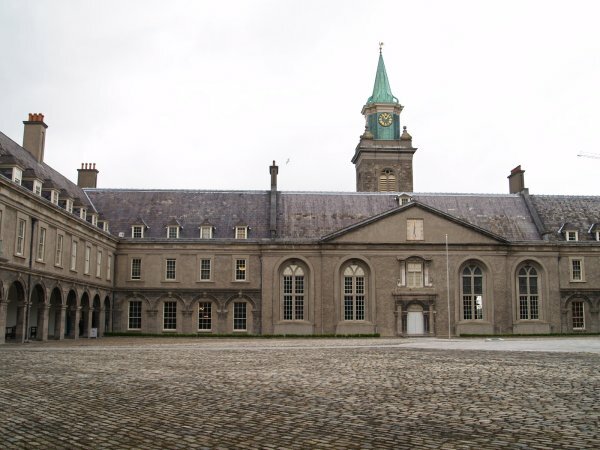 The Formal Garden of the Royal Hospital Kilmainham, also known as the Masters Garden, was proposed in 1695. 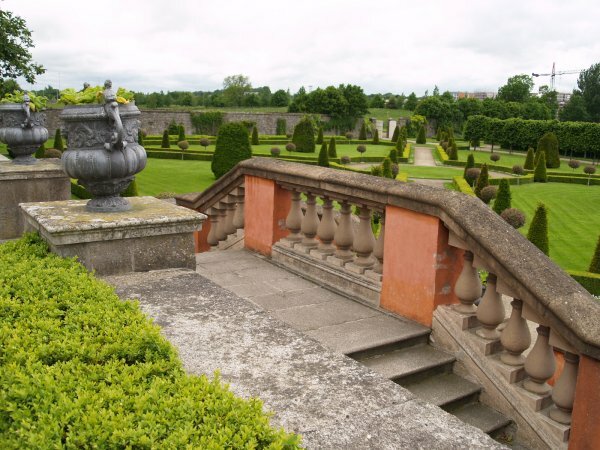 It has suffered periods of neglect but is now restored to much of its former glory. 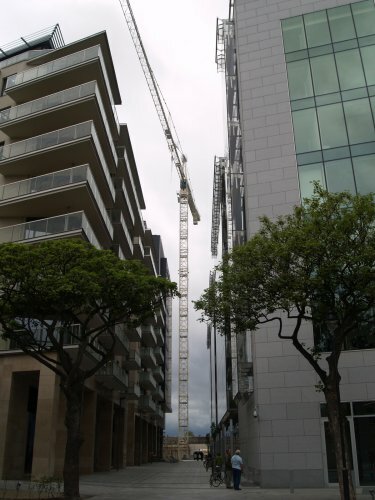 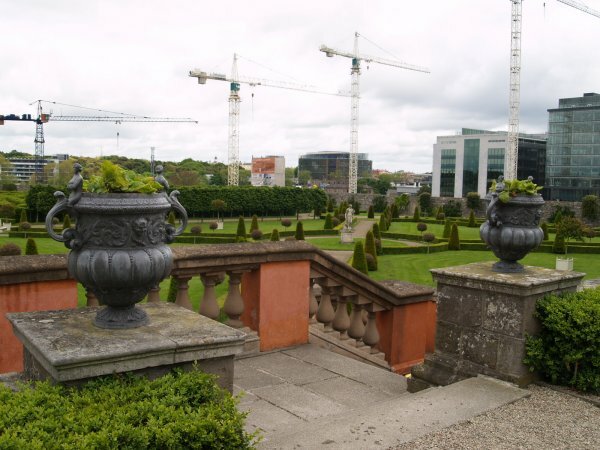 It seems a little surreal that the background to the garden consists of the cranes and buildings of the Heuston South Quarter Development (photos taken May 2009). 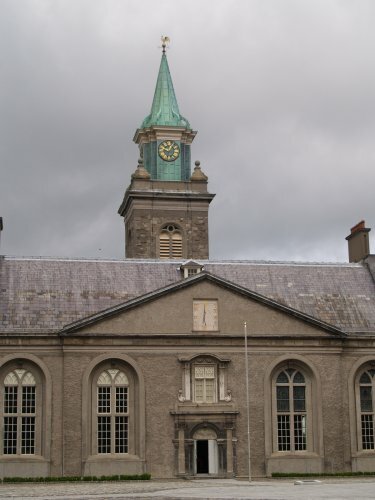 So in IMMA we have the 'old', the 'new' and the contemporary! 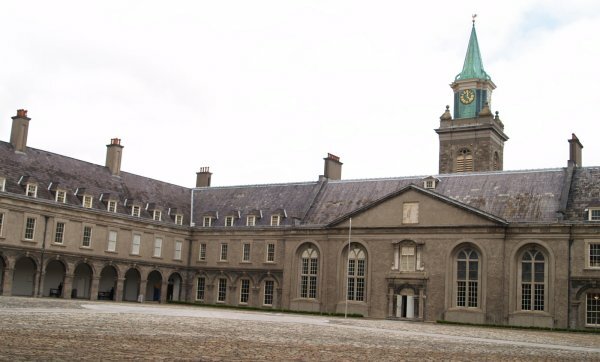 The facade overlooking the Formal Garden. 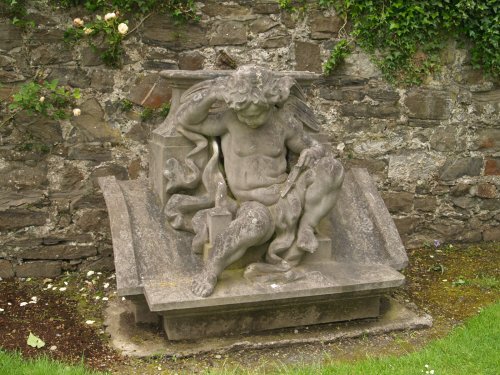 Some typical 'Baroque' figures adorn the garden. 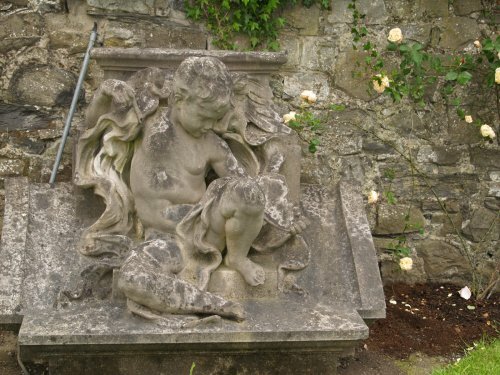 Are we into Cherubs here? 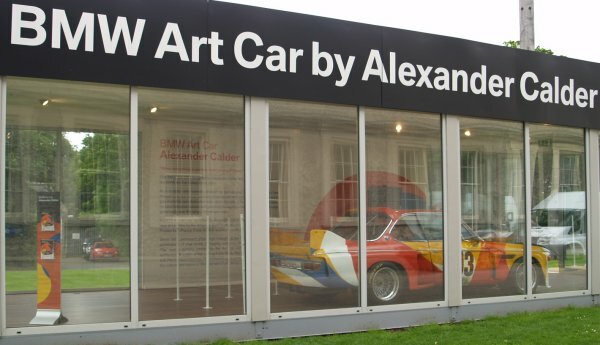 BMW Art Car by Alexander Calder. 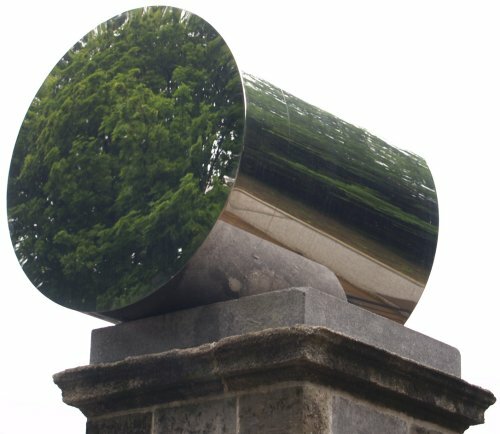 Green reflections from the concave ended steel drums on the IMMA gateposts. 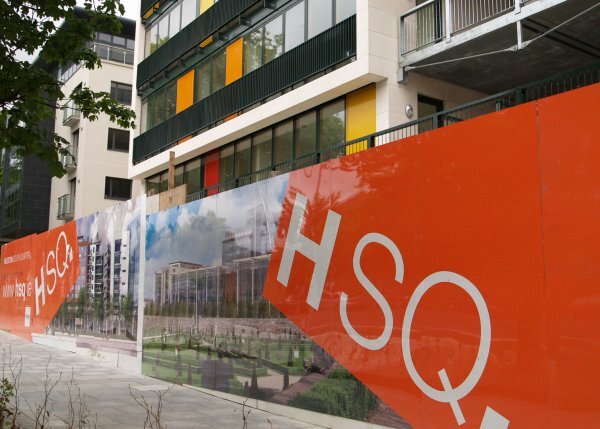 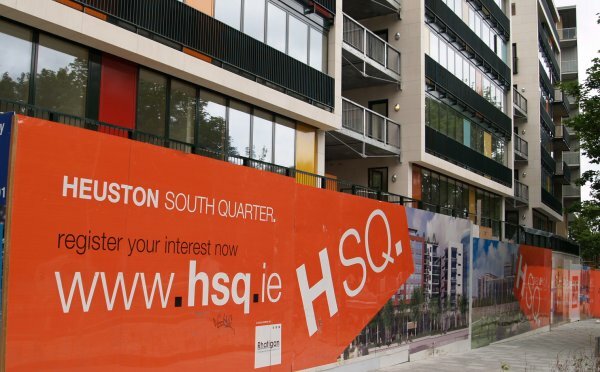 The Heuston South Quarter Development - but all the cranes seemed to be still in may 2009 - financial problems for HSQ? 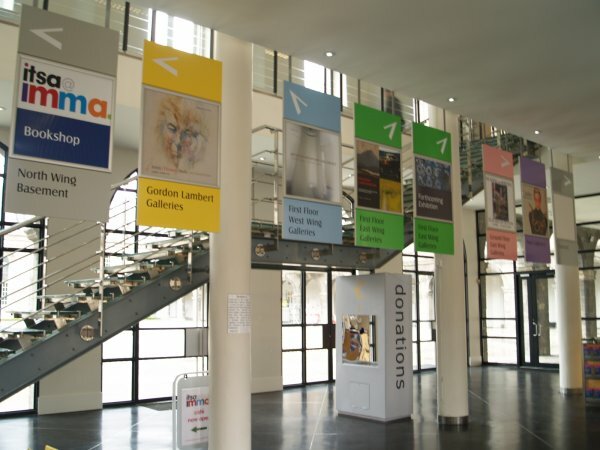 The posters seem like a piece of modern art in their own right!